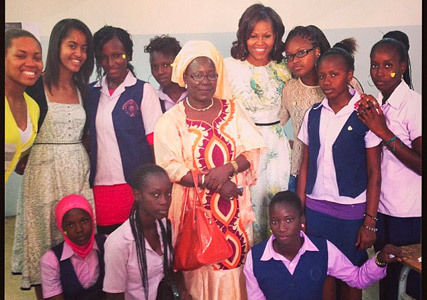 Michelle Obama has finally joined Instagram. Those who enjoy the American First Lady’s tweets will be pleased to see that she’s not only signed up to the image-sharing app – but she’s already posted several pics. Within hours, Michelle had landed over 214,000 followers and the figure is still climbing. She’s only following one other Instagrammer – the official White House account.